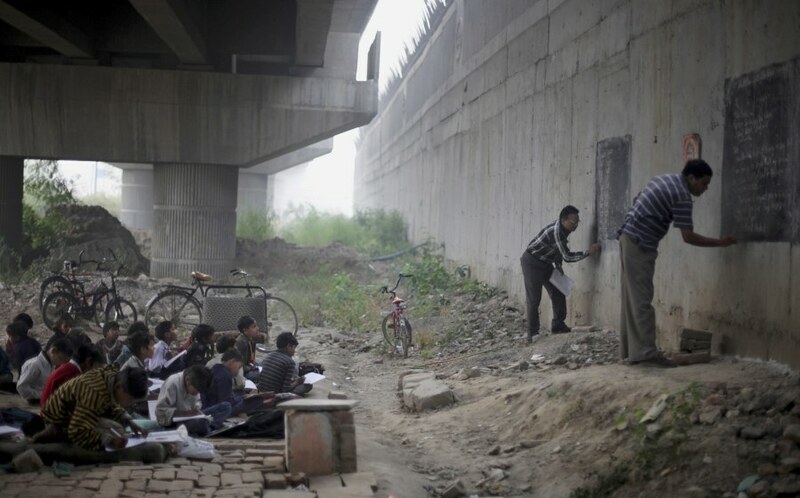 Founder of a free school for slum children Rajesh Kumar Sharma, second from right, and Laxmi Chandra, right, write on black boards, painted on a building wall, at a free school run under a metro bridge in New Delhi, India. At least 30 children living in the nearby slums have been receiving free education from this school for the last three years. 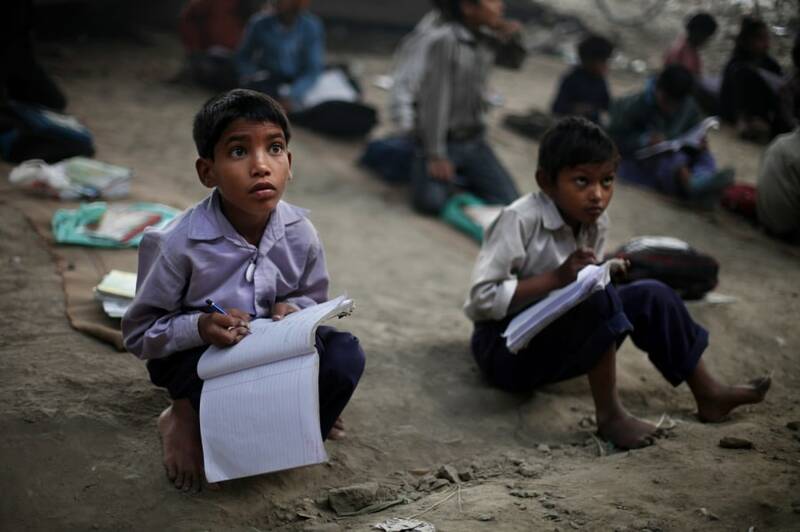 Rajesh Kumar Sharma, teach Somnath, an underprivileged Indian slum child at the school. 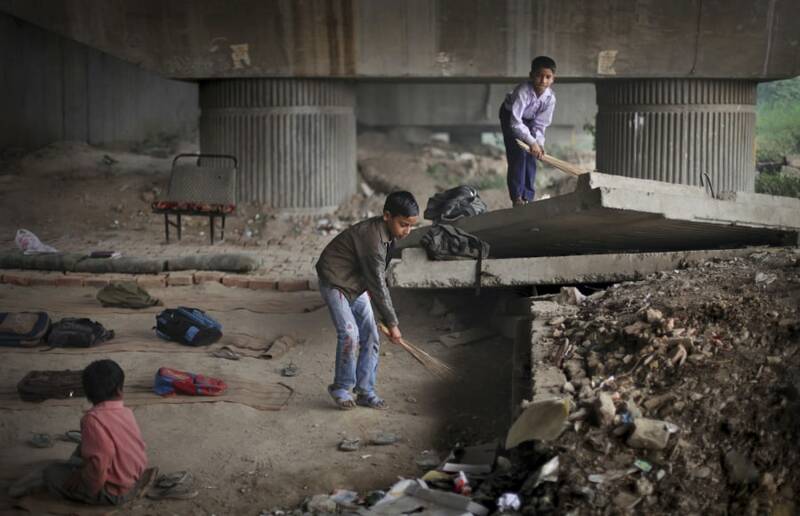 Students help to keep the school clean.